The Sonoma Film Institute celebrates the 30th anniversary of "Do the Right Thing" (Spike Lee, 1989) on March 1, with actor Roger Guenveur Smith, who played the part of Smiley in the film, appearing for a Q&A after the screening. "The Great Buster: A Celebration" (Peter Bogdanovich, 2018) kicks off the Spring 2019 SFI schedule. "Shalom Bollywood: The Untold Story of Indian Cinema" (Danny Ben-Moshe, 2017) tells the story of the 2,000-year-old Indian Jewish community and its formative place in shaping the world’s largest film industry. 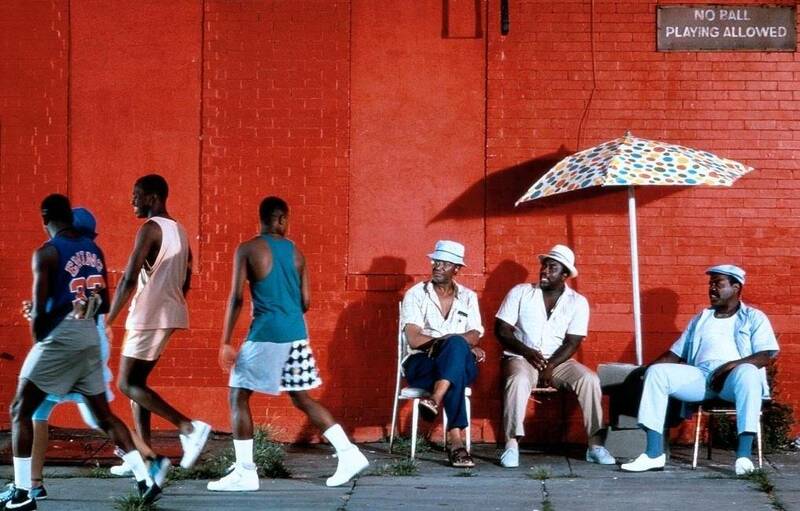 “Do the Right Thing,” a film some claim was snubbed of a Best Picture Oscar when it was released in 1989, will be screened on Friday, March 1 at 7 p.m. at Warren Auditorium on campus. Actor Roger Guenveur Smith, who played the part of Smiley in the film, will appear after the screening for a Q&A. Smith will also take part in a roundtable discussion the following day at 10 a.m. in Ballroom C of the SSU Student Center to discuss the film, Lee’s legacy and current political events such as the Black Lives Matter movement and the rise of racial tensions and hate crimes in the United States. To conclude the weekend, on March 3 at 7 p.m., Smith will present his internationally acclaimed solo performance “Frederick Douglass Now,” a monologue that mixes Douglass' 19th-century editorials, speeches and letters with his own original writing. 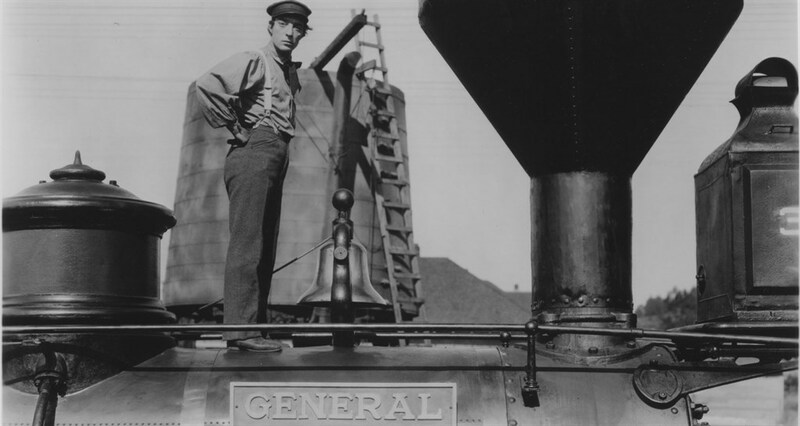 The spring season will kick off tonight with the Sonoma County premiere of “The Great Buster: A Celebration,” a documentary exploring the brilliant career of silent film actor and director Buster Keaton. All films will be screened in the Warren Auditorium in Ives Hall at Sonoma State University. Admission is free throughout the season with a suggested donation of $5. There is a $5 parking fee in all university lots. For more information visit the Sonoma Film Institute’s homepage. Friday, Jan. 25, 7 p.m. & Sunday, Jan. 27 at 4:30 p.m. This documentary follows the rise to fame of comedian Buster Keaton, one of the most revered and beloved icons in American history. From exploring his unique childhood, to showing a highlight reel of what critics consider to be Keaton's most creative work, Bogdanovich connects the audience to the pleasure and pain soaked life of being a performer. Friday, Feb. 1, 7 p.m. & Sunday, Feb. 3, 4:30 p.m.
Shalom Bollywood reveals the unlikely story of the 2,000-year-old Indian Jewish community and its place in forming the world's largest film industry. The film focuses on the lives of Indian cinema’s Jewish icons at the heart of Bollywood from the turn of the 20th century to the present day. Friday, Feb. 8, 7 p.m. & Sunday, Feb. 10, 4:30 p.m.
Bertolucci’s drama sends an American couple deep into the Sahara Desert, where they discover the power of landscape and culture and must put themselves in unknown territory in an attempt to inject passion into their 10-year marriage. Based on the novel by Paul Bowles, and gorgeously photographed by Vittorio Storaro, Bertolucci brings to life the intimate details of longing and loneliness. Friday, Feb. 15, 7 p.m. & Sunday, Feb. 17, 4:30 p.m.
Set in the Australian Outback, this coming-of-age story follows a 14-year-old city girl and her six-year-old brother who find themselves stranded when their father suddenly abandons them. Through hallucinatory editing, Roeg contrasts the modern world with the natural realm as the siblings encounter an Aboriginal youth who is performing the ritual solo wandering that will mark his entrance into manhood. Friday, Feb. 22, 7 p.m.
A female writer and her husband, along with a band of fellow subversives, are active Resistance members in Nazi-occupied France in 1944 when her husband is deported to Dachau by the Gestapo. She quickly becomes friendly with a French collaborator to gain information on her husband at a considerable risk to her fellow Resistance members. Through subtly expressionistic images and voiceover passages, Finkiel evokes the inner world of one of the 20th century's most impactful writers. Friday, March 1, 7 p.m. & Sunday, March 3, 4:30 p.m. Celebrating its 30th anniversary this year, this landmark film is a powerful portrait of urban racial tensions that sparked controversy while earning popular and critical praise. Saturday, March 2, 10 a.m.
Roundtable on "Do the Right Thing"
In conjunction with the 30th anniversary of Do the Right Thing, a roundtable featuring SSU scholars and Roger Guenveur Smith will explore the legacy of Spike Lee’s film today, in light of current movements and events, including Black Lives Matter, Charlottesville and the rise of racial tensions and hate crimes in the U.S.
Smith presents his internationally acclaimed solo performance that mixes Douglass' 19th-century editorials, speeches, and letters with his own original writing. Delivering a monologue that mixes poetry, music and rap, Smith riffs on not only slavery but modern-day racism, blurring the lines between history and right now. Friday, March 8, 7 p.m. & Sunday, March 10, 4:30 p.m. The top selling female artist in the world at the time, Japan native Yayoi Kusama was best known for her colorful polka dot and pumpkin-themed designs and her massively popular mirrored Infinity Rooms. After traveling to the U.S., she exploded onto the late-'60s art scene only to fight racism and sexism in an industry dominated by men who unapologetically stole from her remarkable body of work. Kusama eventually returned home to voluntarily retire to a mental institution, but this documentary explores Kusama's incredible vision, celebrating her massive colorful installations while bringing her newfound acclaim with younger generations. In this Palme d'Or winner, an ambitious young writer returns home after college hoping to enjoy momentary solace. He attempts to pour all his efforts into getting published only to be confronted by his past and his father's worsening gambling addiction. Friday, March 29, 7 p.m. & Sunday, March 31, 4:30 p.m. In a 50th anniversary screening, this Oscar winner follows a Texas dishwasher who decides to leave for New York in hopes of finding a wealthy dowager. After encountering more hardship than he imagined, he forms an alliance with a tenant squatter who helps him up kickstart his hustling career. Friday, April 12, 7 p.m. & Sunday, April 14, 4:30 p.m.
Arguably the 2000's most acclaimed non-fiction film, Varda focuses her ever-seeking eye on gleaners: those who scour already-reaped fields for the odd potato or turnip. Her investigation leads us from forgotten corners of the French countryside to off-hours at the green markets of Paris, following those who insist on finding a use for that which society has cast off, whether out of necessity or activism. Friday, April 19, 7 p.m. & Sunday, April 21, 4:30 p.m. This film chronicles two hours in the life of a pop singer, who is waiting to learn if she has cancer. Shot entirely on location in the streets of Paris, she finds comfort talking with a soldier in a park on leave from the Algerian War. His troubles put hers in perspective, and ss they talk and walk she comes to terms with her selfishness, finding peace before the results come back. Friday, April 26, 7 p.m. & Sunday, April 28, 4:30 p.m. The film presents two young African American men from rural Hale County, Alabama, over the course of five years, with one attending college in search of opportunity and the other becoming a father to an energetic son. Observing the intersection of their lives, the audience can experience what communicates the region's deep culture as well as the complex ways the African American community's collective image is integrated into America's imagination.